PALACIO DEL MAR "WHERE LUXURY MEETS THE SEA"
Palacio del Mar sits on a 10 acre piece of land surrounded by mountains, vegetation and breathtaking views of the Pacific Ocean. The beauty of these natural surroundings is enhanced with spectacular landscaping, fountains, waterfalls and pools. Two and three bedroom condos, penthouses and villas, all with spacious balconies and panoramic views, just 35 minutes south of the US Border. More than just a sound investment, Palacio del Mar provides a lifestyle of unparalleled luxury amongst the breathtaking surroundings of El Descanso. Whether you seek a year round residence or a weekend retreat, the broad range of amenities and services at Palacio del Mar will provide you with a complete resort experience without having to leave the property. The elaborate floor plans combine ingenuity, aesthetics, and comfort to uphold our highest standards of luxury throughout. The luscious landscaping accentuates the natural marvels of El Descanso and provides a serene setting to remove oneself from the pressures of daily life. Discover a world of beauty, tranquility and luxury. Live with elegance, comfort and privacy in this unique and most exclusive residential development. 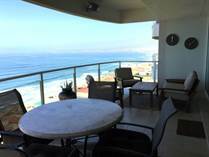 Palacio Del Mar is without question the finest project every built on the Pacific Coast south of San Diego. The attention to detail is unparalled.